Location, Location, Location! 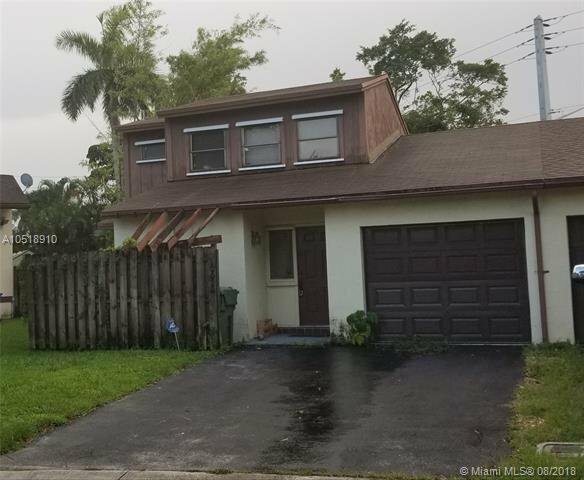 Lovely 3 Bed Rm, 3 Bath Villa nestled in the quiet Subdivision of Quincey Park in Pembroke Pines. This house has an updated Kitchen featuring Granite Counters with Stainless Steel Appliances. Screen in Patio. Vaulted Ceiling. Large Yard. Property has great potential. House needs work. Being Sold AS IS. Cash Offers Only. Price to Sell. Listing courtesy of Charles Rutenberg Realty LLC. Selling Office: Florida Realty of Miami Corp.